The trek runs from an April 4 performance in St. Charles, Illinois, through a May 18 show in North Tonawanda, New York. 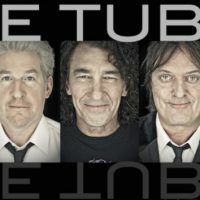 The Tubes also will open one concert for Blue Oyster Cult April 5 in Medina, Minnesota. The Completion Backward Principle’s theme is a parody of a spoken-word vinyl LP found by the band at a San Francisco record store, promoting a 1950s motivational sales technique. Also look for The Tubes to play five dates of the 2019 Lost 80s Live tour this August and September, along with other 80s acts including A Flock of Seagulls, Wang Chung, The Motels, Animotion, The Vapors, and Bow Wow Wow‘s Annabella Lwin. * = performing The Completion Backward Principle album. # = opening for Blue Oyster Cult. + = Lost 80’s Live tour date.